What is the trick to create 4 layer Chapati? More layers' chapati tastes delicious and looks soft. 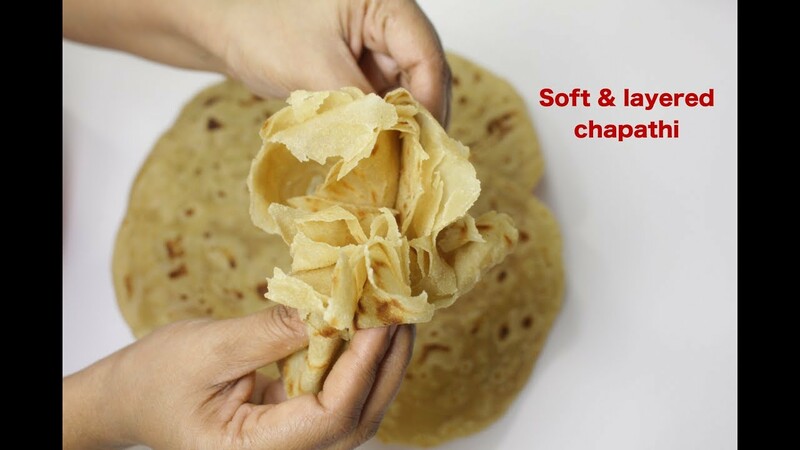 What is the trick to create 4 layers' chapati? Before rolling the chapati, I have made 2 folds by putting few drops of oil in between the folds. I rolled in similar fashion at all over the edges and middle portion. Till the date, I could make 3 layers' chapati but not 4 layers. I have tried more folds also before rolling the chapati but it doesn't help. What are the differences in bleached/unbleached flour for baking? What is the difference between cake flour and AP flour? What is the proper volume to weight conversion for Bisquick? Is Bisquick the same as self-rising flour? How to choose the right kind of flour? What type of flour is “wheat flour” in the UK? What else can I do with Caputo Blue Pizzeria Flour?